Bring a warm weather favorite design into a more formal setting with the SKECHERS Rumblers Wave - Filigree shoe. 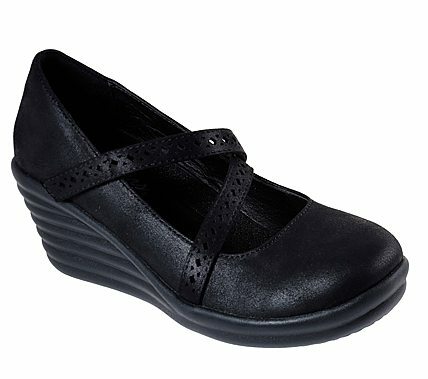 Soft microleather fabric upper in a classic wedge heeled casual comfort mary jane with laser-cut strap detail and stitching accents. Air Cooled Memory Foam insole.